A true classic! Perfect on crisp lettuce leaves as well as drizzled over steamed veg. 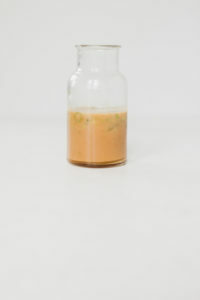 Place all the ingredients in a jar and shake or alternatively blend in a blender or with a stick blender. 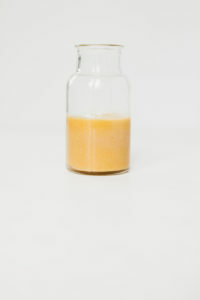 Store for 2‒3 weeks refrigerated in an airtight container. 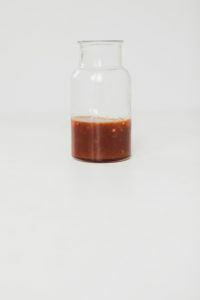 A wonderful dressing over raw broccoli, slaw, rice or udon-type noodles. Add peanut butter for a little satay flavour. Place all the ingredients in a bowl and whisk well. This is great over slaw and or rice noodles. Add grilled chicken, pork or prawns along with fragrant herbs (mint, coriander, Vietnamese mint, basil) for a complete and tasty meal. Pomegranate molasses has a unique and addictive flavour which goes perfectly in Middle Eastern dishes. This dressing is great over a regular salad as well as couscous-like grains.